Like the Sigma series, Premier Power’s range of 2.0 and 2.3 litre Duratec engines are strong, lightweight aluminium powerplants. 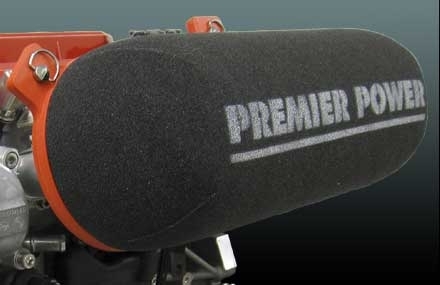 By merely fitting a Premier Power Induction Kit the 2.0 litre engine will develop 180 horse power and with relatively minor modifications performance figures in excess of 200 horse power are easily achievable. Component replacement, modification and meticulous assembly can produce performance figures in the region of 300 horsepower with the 2.3 litre variant. There are numerous performance components available for these engines which can be selected and incorporated according to a customer’s individual requirements. 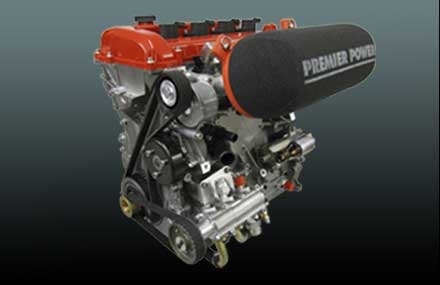 The Premier Power F180 2.0 Duratec Engine offers an entry level engine in a mild state of tune. The engine features a standard engine that will have been stripped, deburred and carefully re-assembled to ensure ultimate reliability and performance. The standard camshafts will be accurately set to give the best drivability and performance. The engine is fitted with a set of our performance throttle bodies and air filter kit and can be supplied with one of our programmed ECUs complete with map. The engine once assembled would then be run-in on the dyno and performance tested to ensure it meets our performance targets. We are also able to supply the engine complete with alternator and starter motor giving you a complete turnkey installation. This entry level engine provides you the customer with a budget performance engine that is a good starting platform for future upgrades. There are several options available at this level which are mainly aimed at improving in car installations. Options include, dry sump installation, shallow wet sump with baffle, light weight flywheels and up-rated clutches. If this engine specification is of interest to you please contact use and we will give you an accurate quotation for your application. The Premier Power F205 2.0 Duratec Engine offers a performance engine perfectly suited to a lightweight sports car or track day car. The engine features a standard engine that will have been stripped, deburred and carefully re-assembled to ensure ultimate reliability and performance. This specification of engine will still be fitted with standard pistons and con-rods as the required piston to valve clearance with the performance camshafts is still achievable. The performance camshafts will be installed and accurately set to give the best drivability and performance. The engine is fitted with a set of our performance throttle bodies and air filter kit and can be supplied with one of our programmed ECUs complete with map. The engine once assembled would then be run-in on the dyno and performance tested to ensure it meets our performance targets. We are also able to supply the engine complete with alternator and starter motor giving you a complete turnkey installation. This entry level engine provides you the customer with a budget performance engine that is a good starting platform for future upgrades. There are several options available at this level which are mainly aimed at improving in car installations. 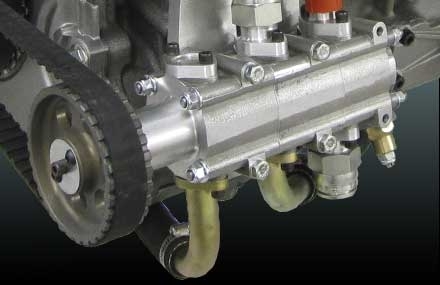 Options include, dry sump installation, shallow wet sump with baffle, light weight flywheels and up-rated clutches. If this engine specification is of interest to you please contact use and we will give you an accurate quotation for your application. The Premier Power F225 2.0 Duratec Engine offers a performance engine perfectly suited to a lightweight sports car or track day car. The engine features a standard engine that will have been stripped, deburred and carefully re-assembled to ensure ultimate reliability and performance. This specification of engine will be fitted with performance pistons, steel con-rods and performance big-end bearing shells. The performance camshafts will be installed and accurately set to give the best drivability and performance. The engine is fitted with a set of our performance throttle bodies and air filter kit and can be supplied with one of our programmed ECUs complete with map. The engine once assembled would then be run-in on the dyno and performance tested to ensure it meets our performance targets. We are also able to supply the engine complete with alternator and starter motor giving you a complete turnkey installation. This entry level engine provides you the customer with a budget performance engine that is a good starting platform for future upgrades. There are several options available at this level which are mainly aimed at improving in car installations. Options include, dry sump installation, shallow wet sump with baffle, light weight flywheels and up-rated clutches. If this engine specification is of interest to you please contact use and we will give you an accurate quotation for your application. The Premier Power F250 2.0 Duratec Engine offers a performance engine perfectly suited to a lightweight sports car or track day car. The engine features a standard engine that will have been stripped, deburred and carefully re-assembled to ensure ultimate reliability and performance. This specification of engine will be fitted with performance pistons, steel con-rods and performance big-end bearing shells. The performance camshafts will be installed and accurately set to give the best drivability and performance. The engine also comes fitted with a dry sump oil system to improve the lubrication system in the engine for extreme conditions. The engine is fitted with a set of our performance throttle bodies and air filter kit and can be supplied with one of our programmed ECUs complete with map. The engine once assembled would then be run-in on the dyno and performance tested to ensure it meets our performance targets. We are also able to supply the engine complete with alternator and starter motor giving you a complete turnkey installation. 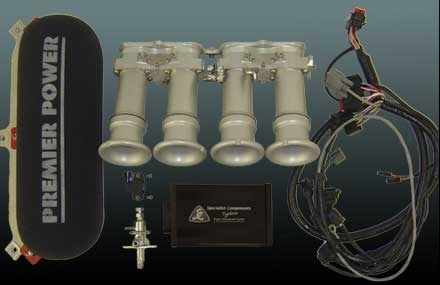 This level engine provides you the customer with a hi-performance competition engine. If this engine specification is of interest to you please contact use and we will give you an accurate quotation for your application.